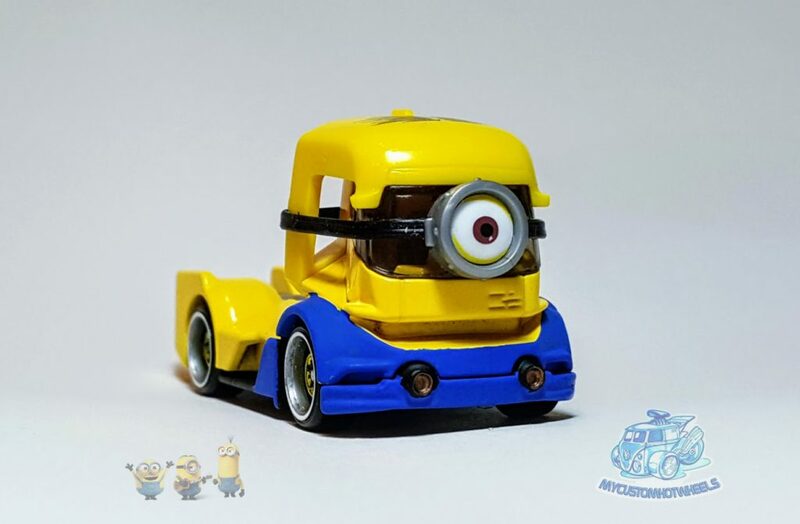 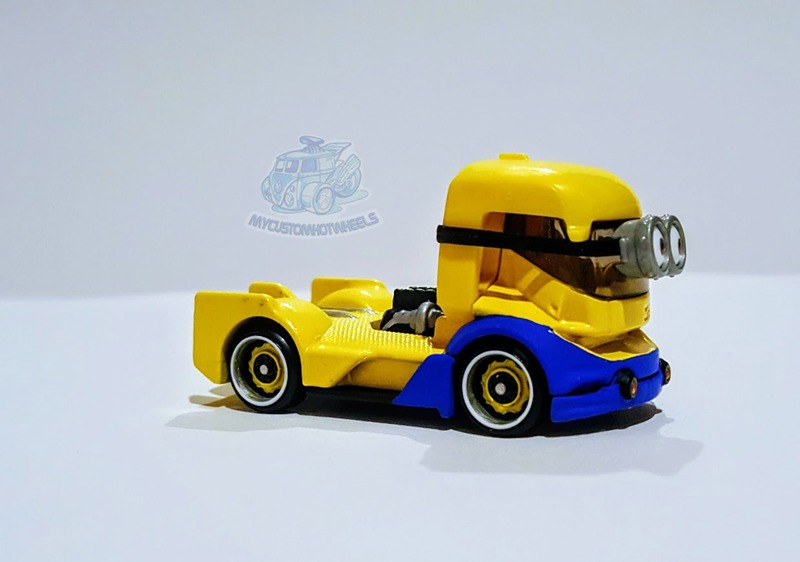 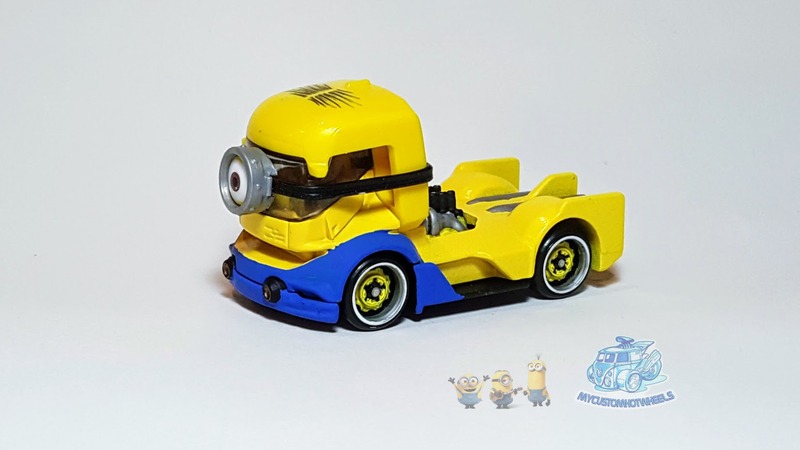 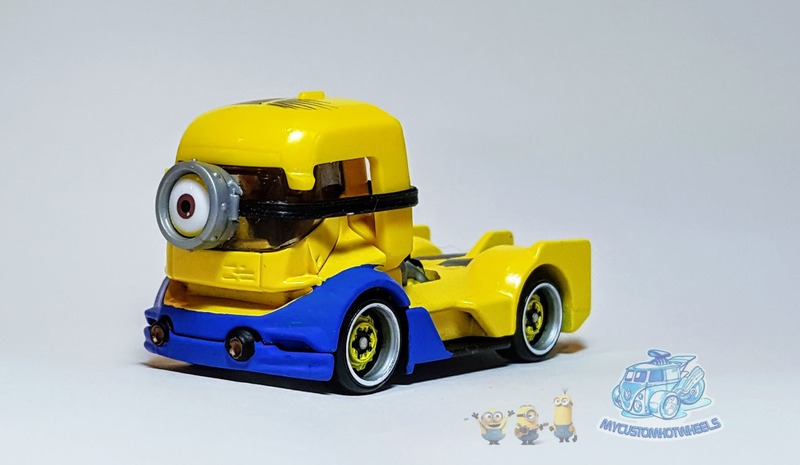 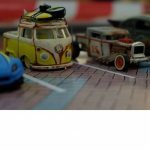 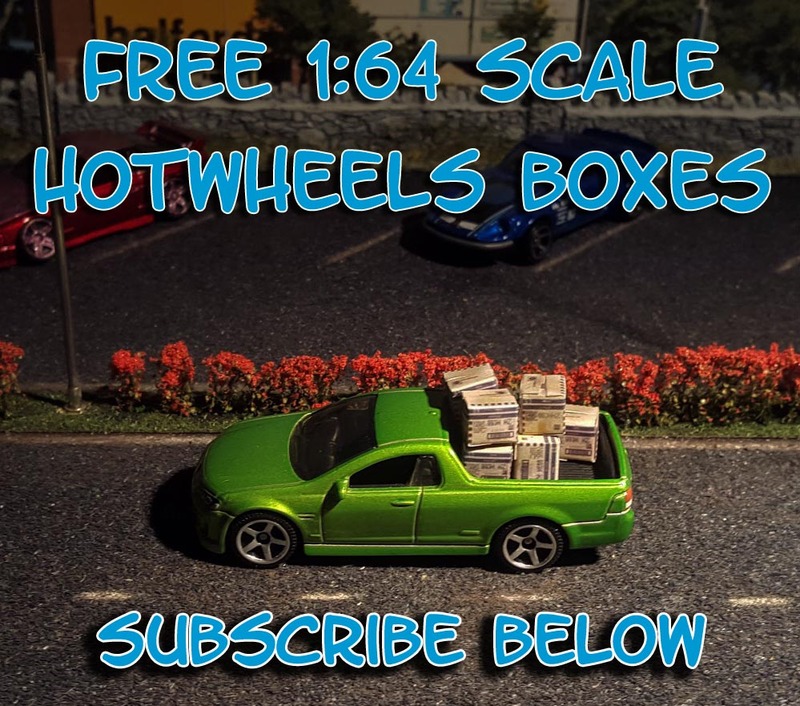 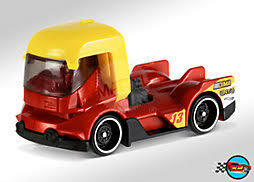 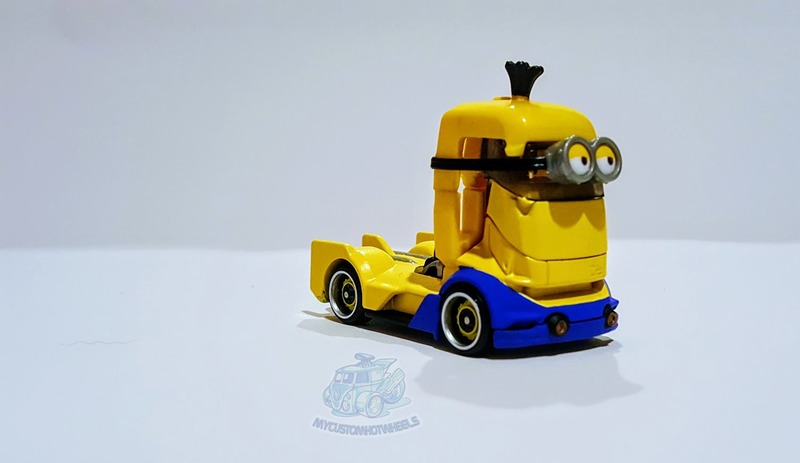 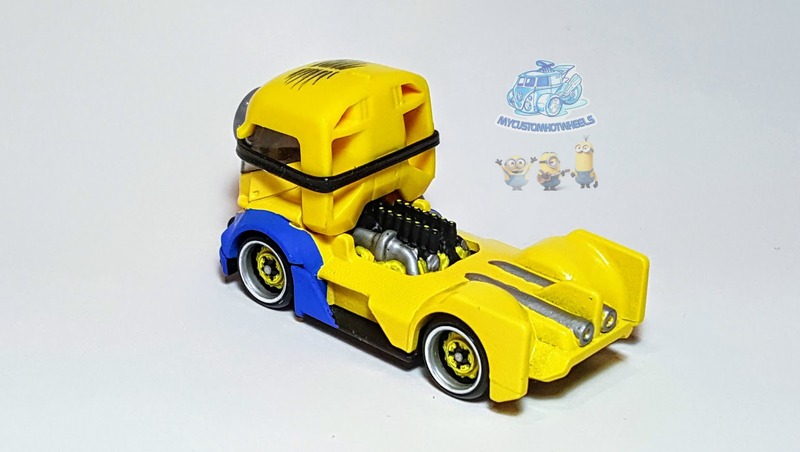 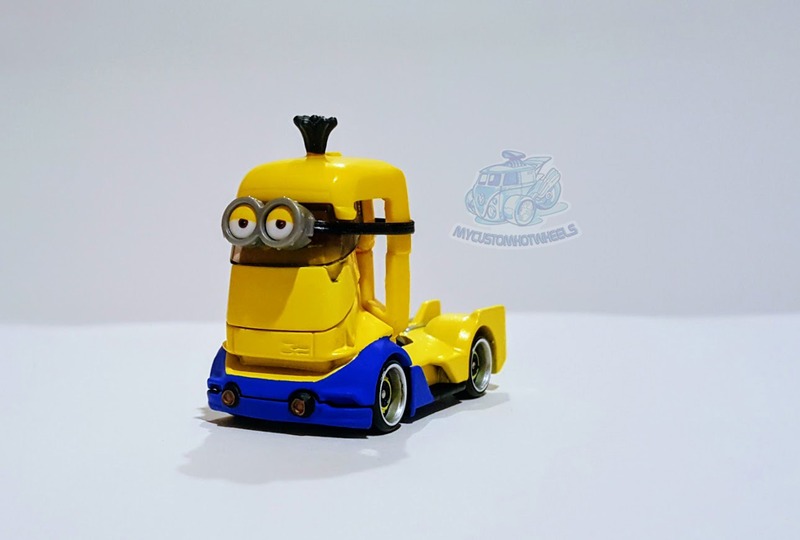 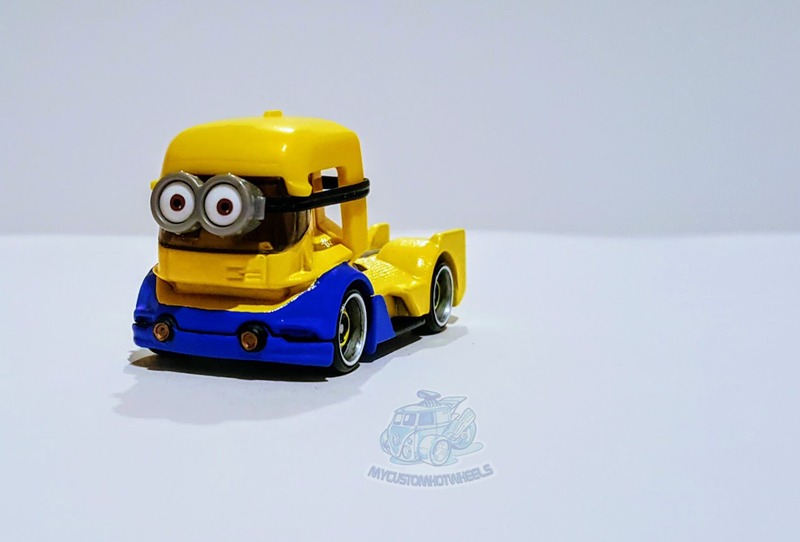 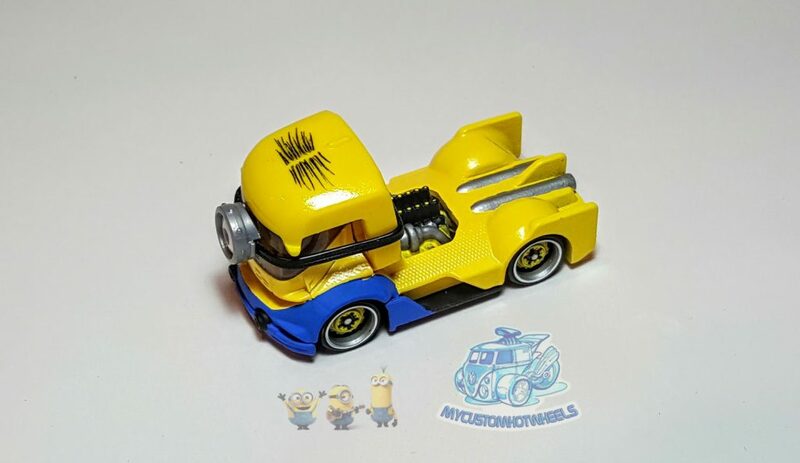 When I first laid eyes on the newly released RIGHEAT casting from Hot Wheels I instantly saw a Minion. 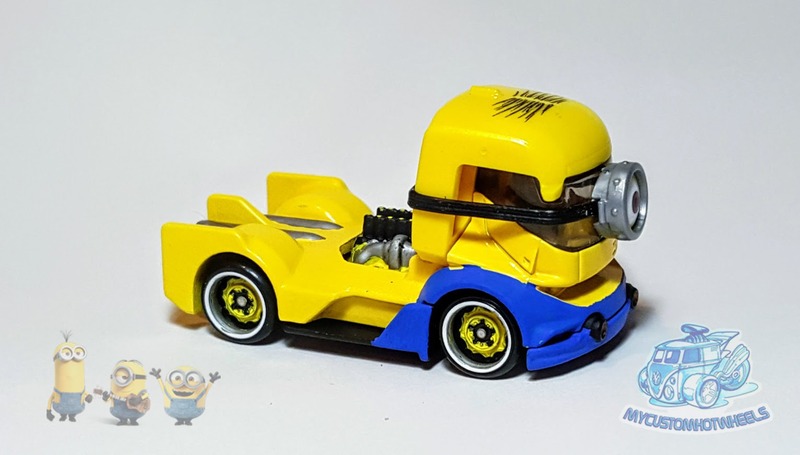 In actually can’t see anything BUT… even the roof is the same Minion yellow and that ‘mouth’ even has a hint of a smile. 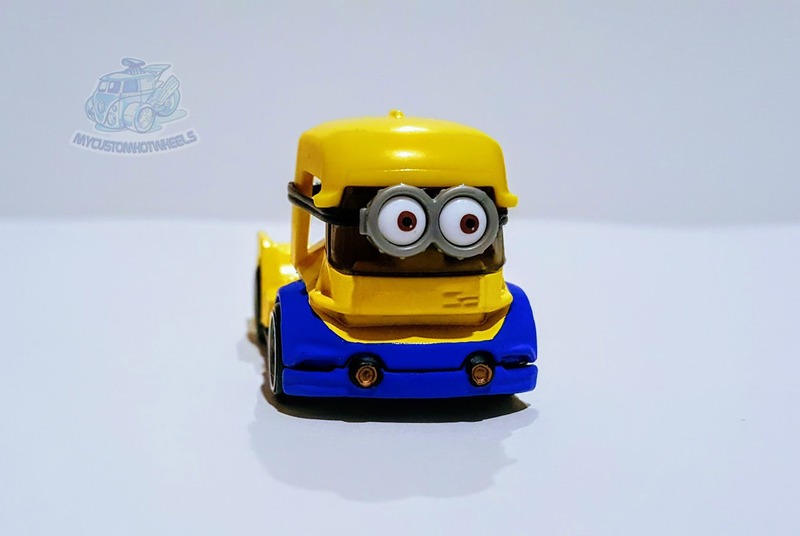 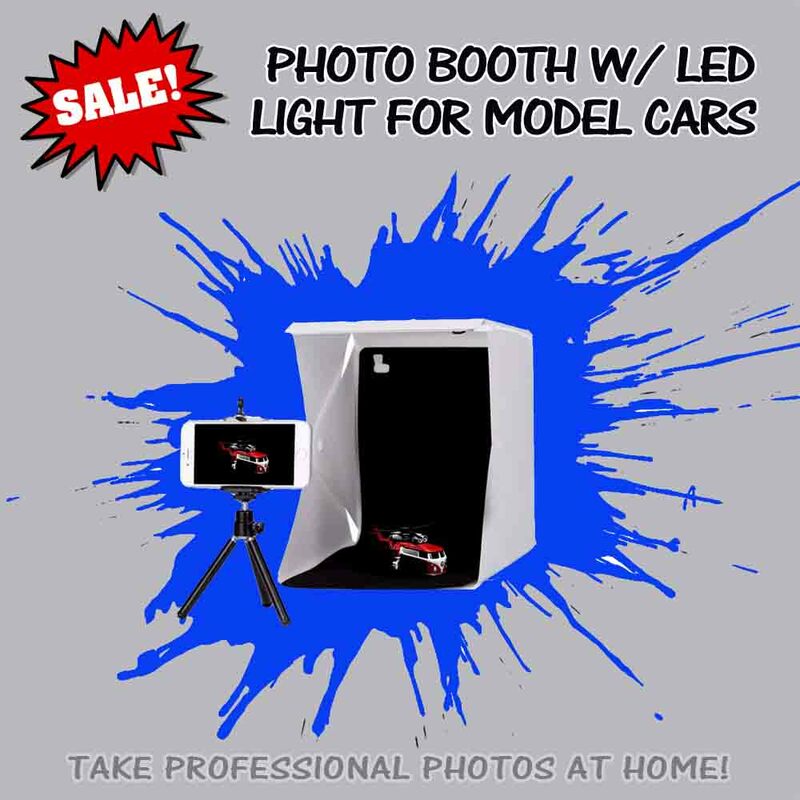 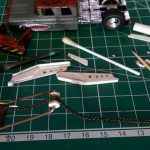 The final part however that ‘seals the deal’ for me are the headlights and grill that meet the wheel arches – the wheel arches making perfect overall bands and the headlights in the perfect spot to be the buckles that hold the overalls on. 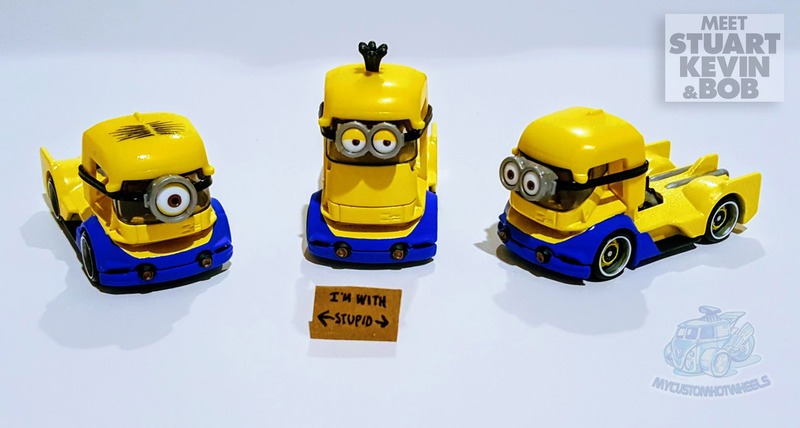 In the Beginning There Was… Just Minion Stuart. 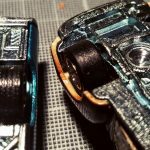 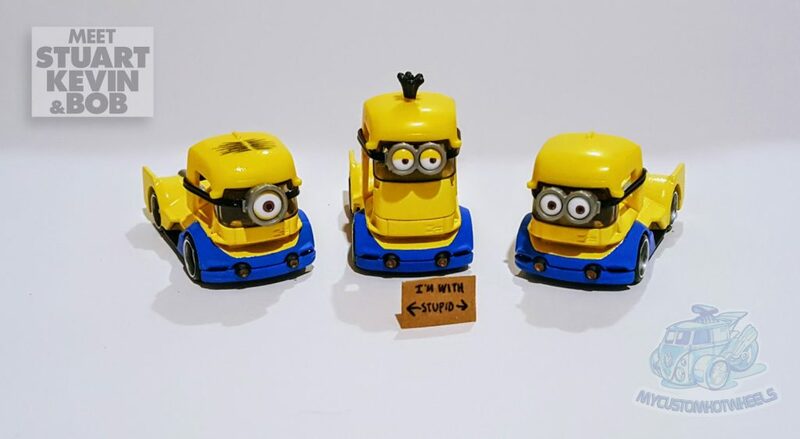 *Ironically for a pegwarmer I only found 1 casting and had to search 4 different stores to find the three more required to make two more Minions. 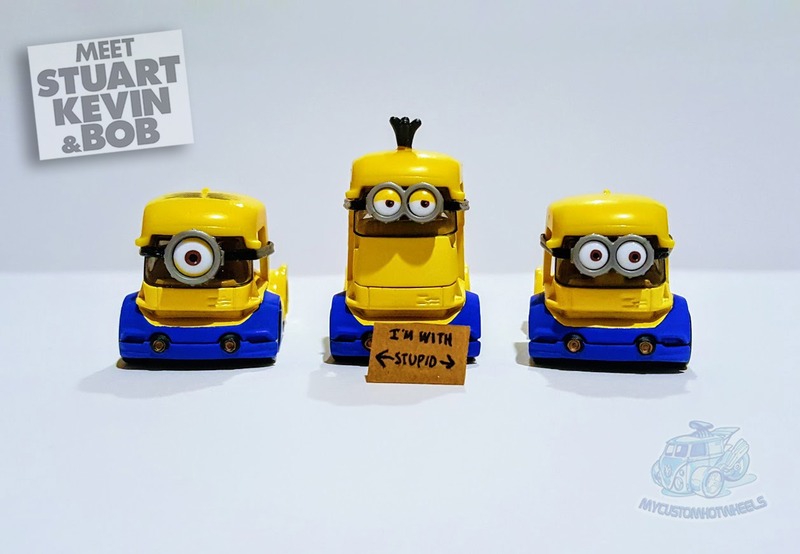 The response from sharing Minion Stuart on Instagram and Facebook was overwhelming and as the demand for additional minions grew I realised the masses had spoken, and spoken most righteously! 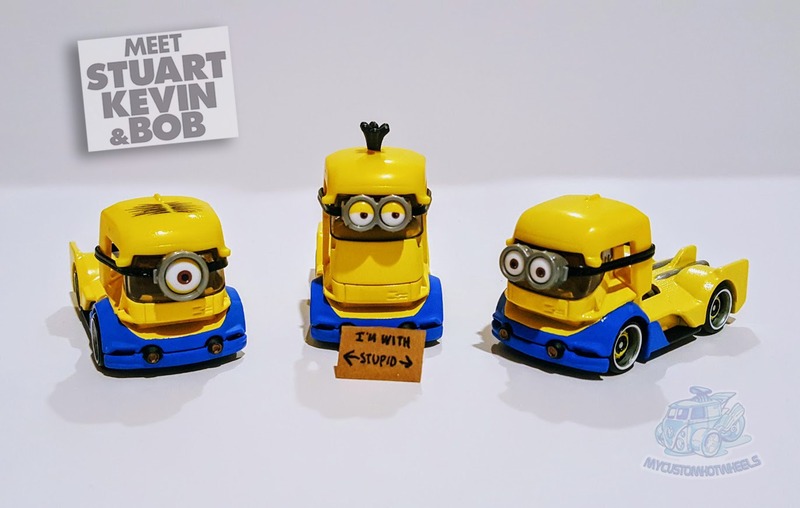 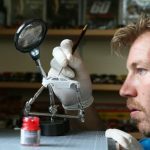 It was time for Minion Stuart to be joined by his friends Kevin and Bob – and that meant finding more Righeat castings, 3 more in fact. 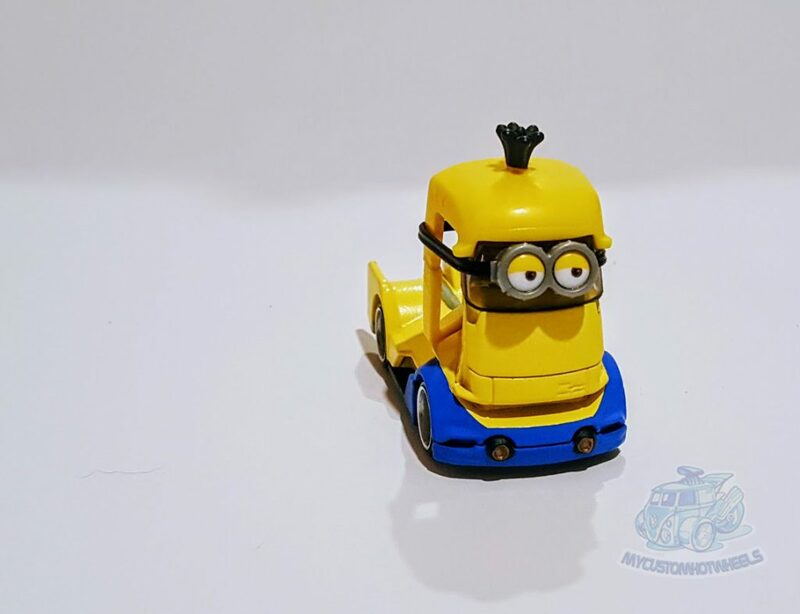 Minion Kevin however was going to require a little more work but again the nature of the Righeat casting meant this was relatively easy to do. 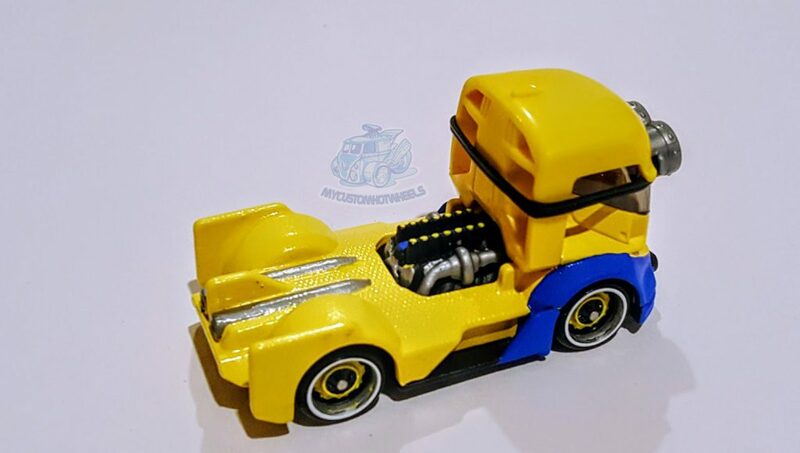 Creating Kevin and his taller head was accomplished by simply painting a windscreen in the same yellow as the body and extending the rear pillars of the original roof piece to accommodate the new height. 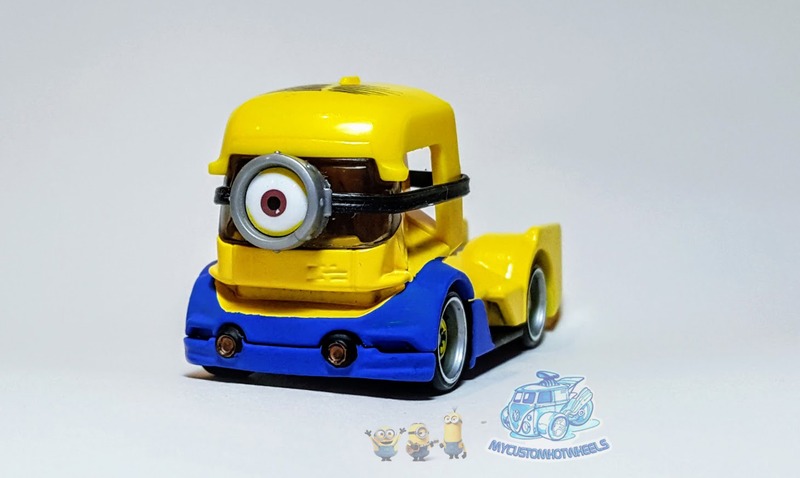 It actually turned out better than I thought with the bottom of the painted windscreen creating a mischievous smile on Minion Kevin’s face. 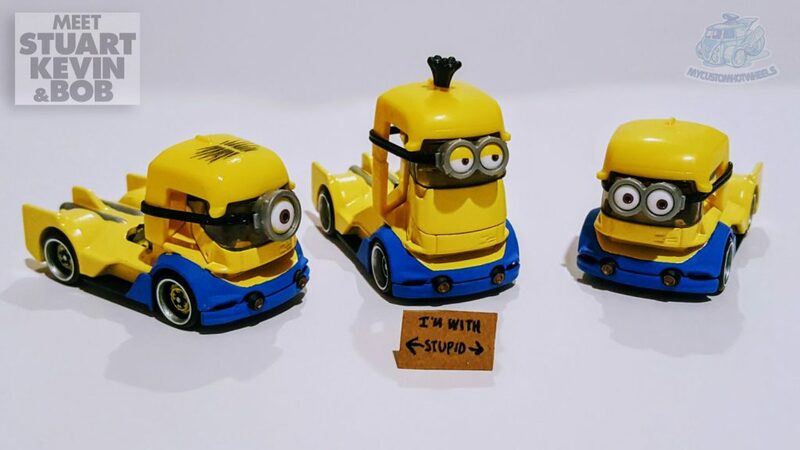 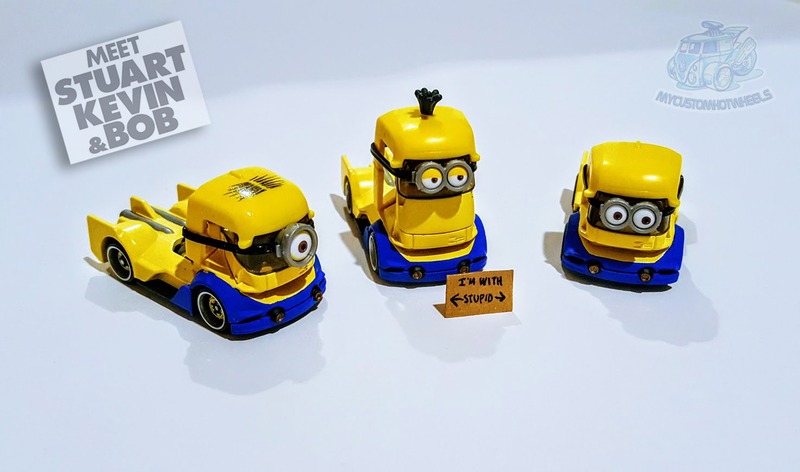 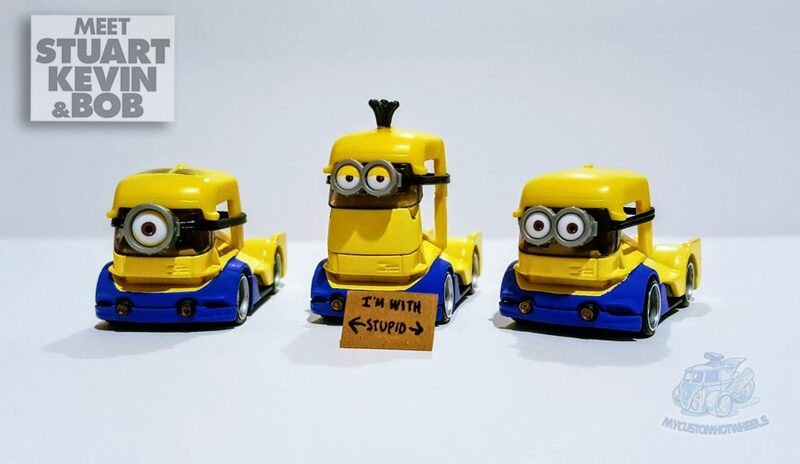 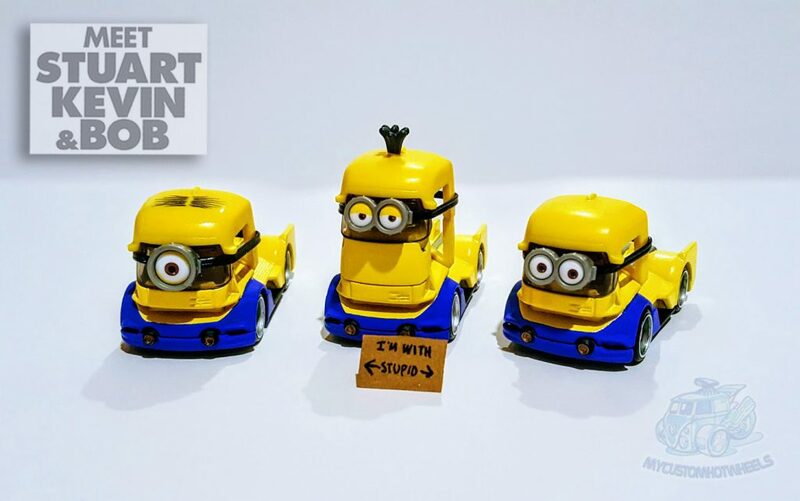 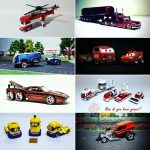 My 2 year old son is OBESSED with the Minions and would absolutly LOVE to have these! 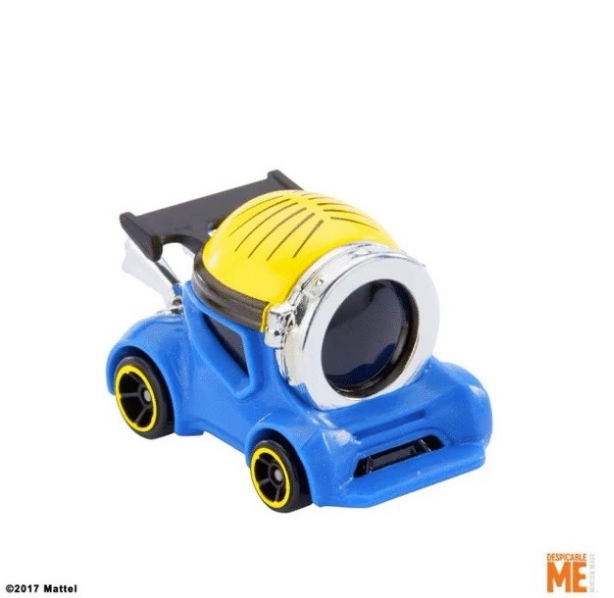 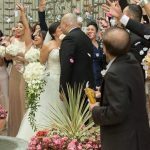 I’m going through a very nasty divorced and trying to keep him occupied… Thank you!